I was recently in Georgia for a for a non-HaD reason. This was my first trip to Georgia and it was hot, really hot, something I’m not too accustomed too. They also have nice condition roads there, something else I’m not accustomed too. 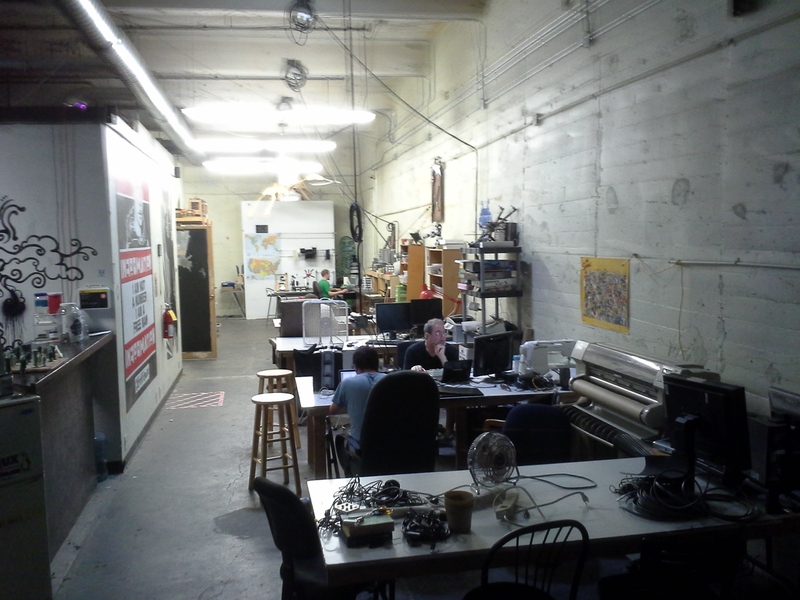 I did have some free time while down there so I hopped on hackerspaces.org to see what was around. There were several spaces that were within driving distance but Freeside Atlanta was the only one that had an open event while I was available. That was the sole reason for my decision to stop in and I’m glad that happened because I had a great time. Not long after entering I was greeted by a member, my new pal [Steven], who turned out to be the president of the group. After a quick exchange of pleasantries [Steven] started showing me around. My first impression was that the place was inviting. It seemed pretty big and there was little clutter. There were plenty of tables for working on your project and shelves with parts and components. These spare parts were not piled all over the shelves but were in boxes labeled with what was inside. I liked this because it was neat, tidy and it would be easy to find exactly what you were looking for. I know from experience that keeping this level of organization is hard in a community workshop environment. Getting back to the tour, I was shown a separate dedicated classroom that holds 16 students, complete with dry erase boards. I passed a bunch of open work areas and tables as we continued into the space. A little further down there was a lounge area with couches and a huge projection screen next to the kitchen where I enjoyed some member-baked cookies. At that point I thought I had seen the entire space, but I was wrong, there was another door along what I thought was the back wall. That is the entrance to the shop area. The front part of the space was pretty big, the shop was at least as large. I later found out that the entire place is about 5500 sqft. They have a pretty capable wood shop with work benches, a table saw, miter saw, planner, etc, not to mention plenty of hand and power tools. Moving a little further back there is a metal shop complete with mills, lathes and welders. There’s also a little CNC Router for cutting out parts. If this wasn’t enough so far, there’s a CO2 laser cutter, which was my favorite part of the tour…. If infinity mirrors aren’t cool enough, the 10-foot-tall infinity portal should blow you away. Strictly speaking, the mirror itself is only 7’x4′, but you’ll still find yourself engulfed in the archway. The portal began as a simple prototype that we covered earlier this summer, which was just a frame of 2×4’s, some acrylic and LED strips. It works by putting lights between a two-way mirror and another mirror, reflecting most light internally and creating the illusion of depth. The giant archway also began as a small-scale prototype, its shape and engravings carved out by a laser cutter. Once they were satisfied with its design, it was time to scale things up. The full-sized portal needed a a tremendous amount of stability, so the guys at Freeside built the base from wooden palettes. They needed the portal to travel to a few different venues, so the rest of the frame breaks down into components, including a removable wooden frame from which the acrylic hangs. A Teensy 3.0 runs all the WS2812 LED strips, which were chosen because each of their LEDs is individually addressable. Check out the video below for an extremely detailed build log, which should give you a better idea of how massive and impressive this portal really is! We would imagine these experiments were spawned by a devastatingly boring day at the office. [Sparr] found himself the proud owner of one thousand rare-earth magnets and decided to see what geometric shapes he could build with the spheres. These are gold-plated N35 Neodymium magnets that measure just 6mm across. He discovered that every structure is built from rings of magnets with shapes dependent upon what sequence of increasing or decreasing members are used. What he’s done is visually pleasing but we’d like to try it ourselves to see how resilient each structure ends up being. 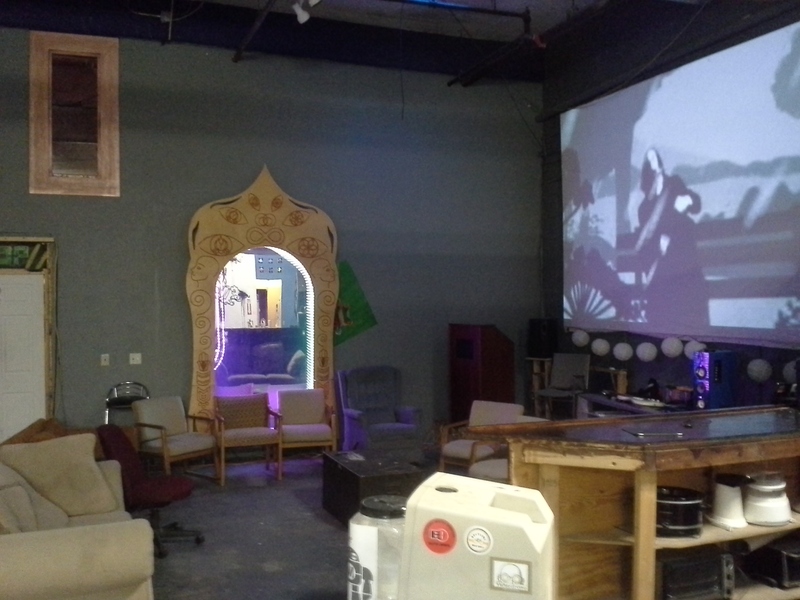 [Sparr’s] post is from the Freeside Atlanta blog, a hacker space collective. [Curbob], a regular with the group, tipped us off that a few hacker conventions are coming up in their area and they’re looking for speakers for one-hour talks about projects. If you’re near Raleigh or Atlanta this is your chance to show off that ridiculously complicated project you’ve been risking your marriage to complete.